Italian desserts are wonderful. I've had panna cotta (think ice cream jello), gelato (ice cream but better), brioche con gelato (tons of gelato crammed into a fluffy brioche roll), struffole (Italian doughnut holes), cenci (strips of fried dough smothered in powdered sugar), and more. However, I'll be the first to admit that the dessert scene here could be improved by some chocolate cake, and your Valentine's Day plans probably could as well. One of my favorite local bakeries/pizzerias has these giant brownies (but they look like chocolate cake) that look absolutely fantastic, but I don't really want to splurge 4 euro on about 10 seconds of bliss. 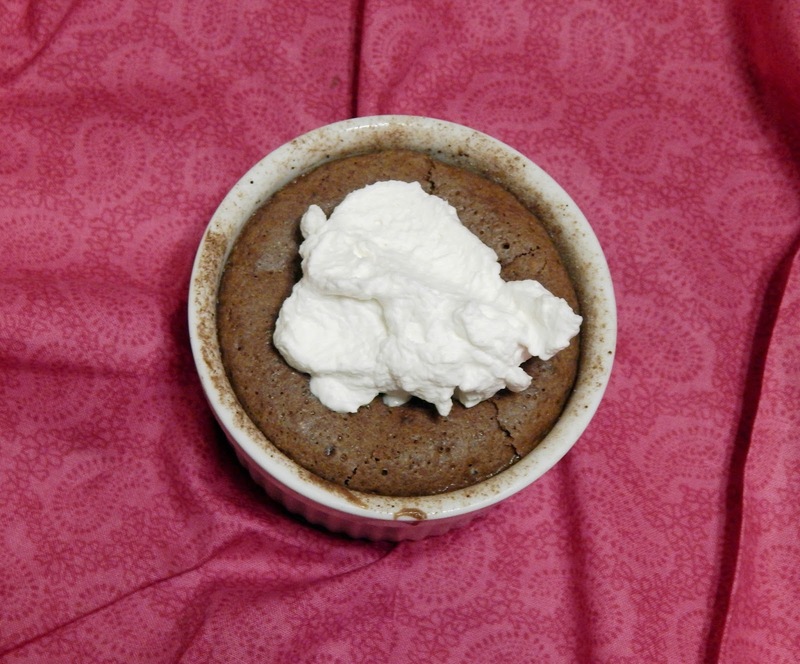 I'd rather make my own chocolate cake, especially if there's an oozing molten center. 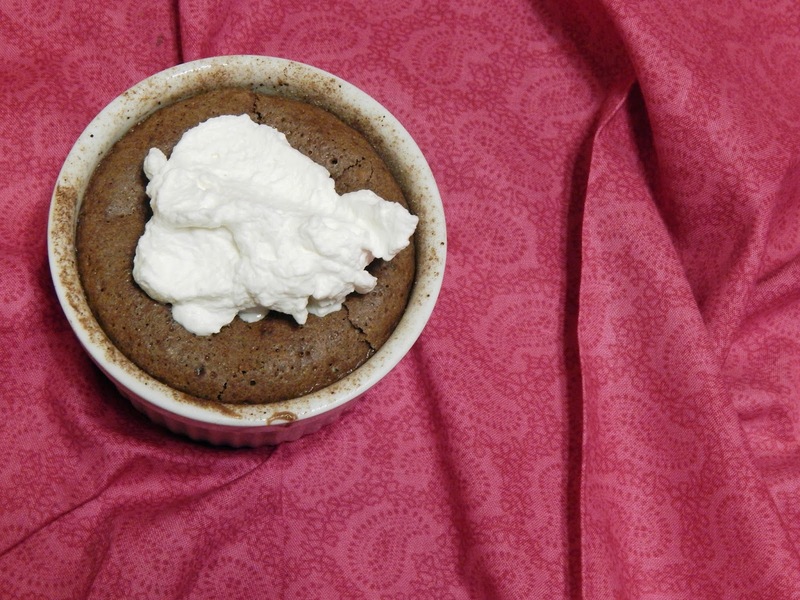 There's the slight problem that Italians don't have baking powder and use vanillin powder instead of vanilla extract, but that doesn't matter for this recipe, making it even better for my chocolate cake quest. I like my cake extra extra extra gooey, so simply underbaking the cakes isn't quite enough for me. I like to make a chocolate ganache to dot in the middle of each one before baking. This ensures that the center is always molten, even if you leave it in the oven a little longer than you should. It's just a mixture of cream and chocolate that I melt together, whisk until smooth, refrigerate until firm, and scoop into balls that go in the center of each ramekin. You can skip this if you want, but it's one of my favorite things about this recipe. Now for the actual cake. 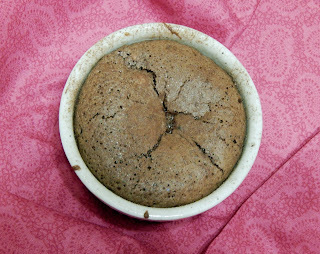 It's not your typical chocolate cake recipe since it doesn't have much flour, relies on aerated eggs for leavening instead of baking powder or baking soda, and is baked in ramekins until gooey. 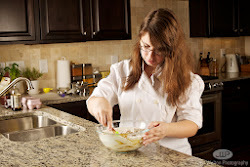 This all means that the recipe is a bit more complex, but I promise that the end result is worth it. Since the eggs are the main reason why this cake rises, it's really important to make sure they are thoroughly whipped and aerated. I love my whisk attachment on my stand mixer for this purpose, but it is possible to do this by hand (and you won't feel bad about eating more than one of them since it's definitely a workout). The egg, egg yolk, vanilla, salt, and sugar are whipped until they reach the ribbon stage, when they are a silky pale yellow and flow from your whisk in a smooth stream to form ribbons. That mixture gets poured onto the butter and chocolate, which are melted together and cooled so they don't cook the eggs. Make sure you use high quality chocolate because it's the main flavor in this cake and you will definitely be able to tell the difference. The mixing technique in this step is crucial because you don't want to deflate the eggs you worked so hard to aerate. I gently scoop and fold with a silicon spatula until it's just combined; you want to do this by hand because a mixer would be too harsh, even on the lowest speed. The flour is added in the same style; there's only two spoonfuls so it shouldn't take long. 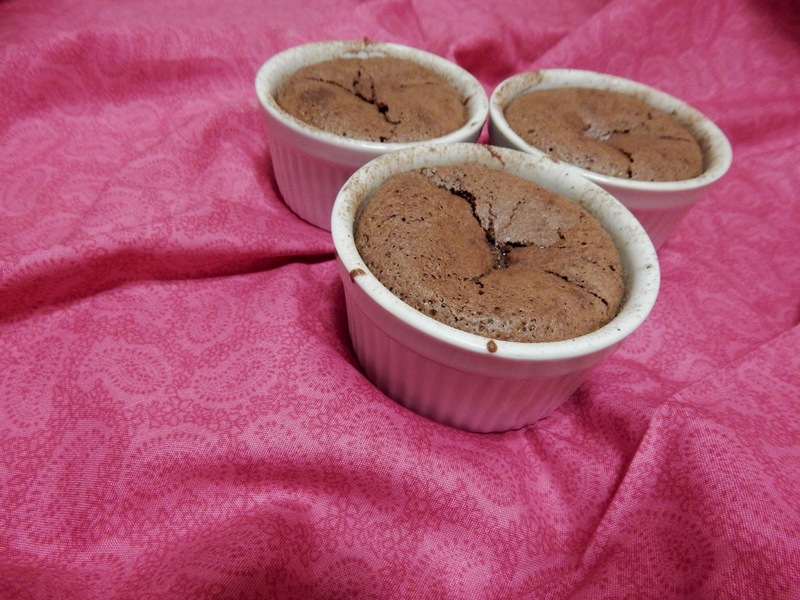 The batter is poured into ramekins that I have greased and coated with a 50/50 mixture of sifted flour and cocoa. This makes it easier to remove the cakes from the ramekins should you attempt to do so. 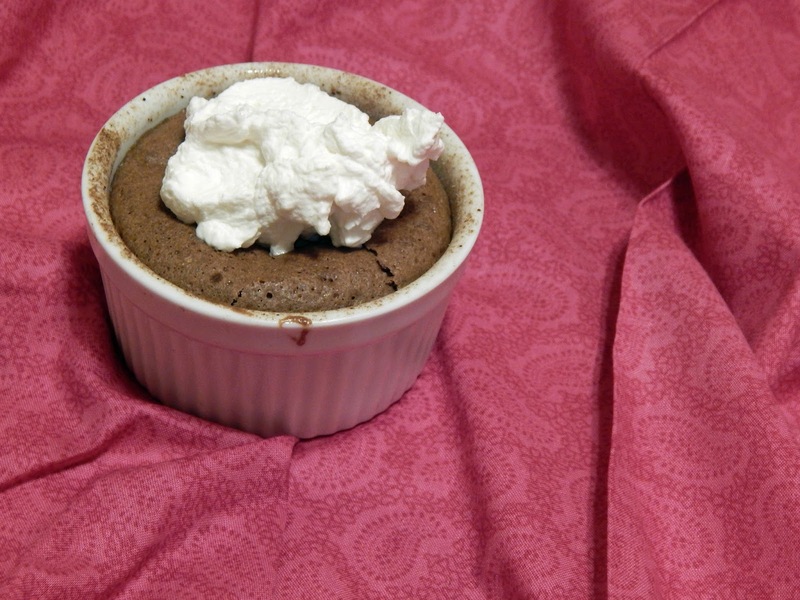 I'm not much of a risk taker so I prefer to serve them in the ramekins, but it's hard to beat the aesthetic of a perfectly smooth molten chocolate cake on a plate with whipped cream, berries, or whatever else you want to serve them with. 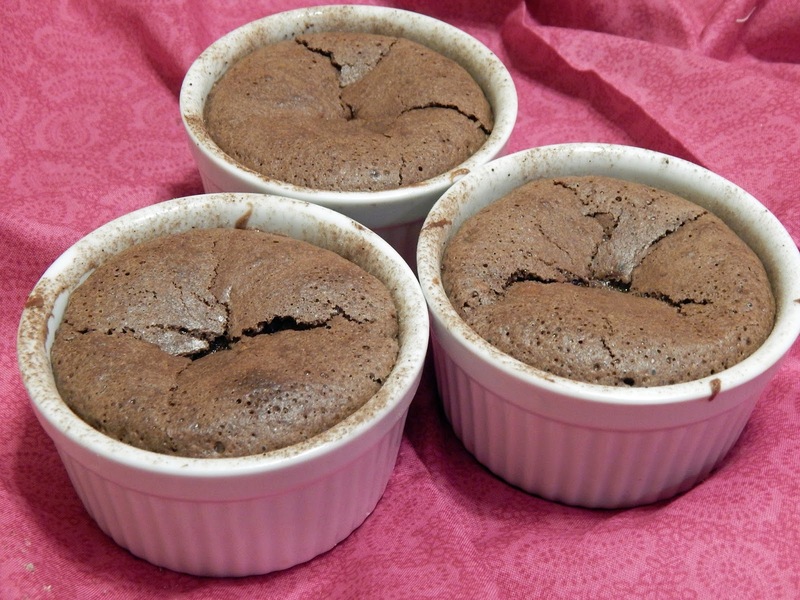 Most ramekins have a small notch near the top, which is where I fill the batter to. 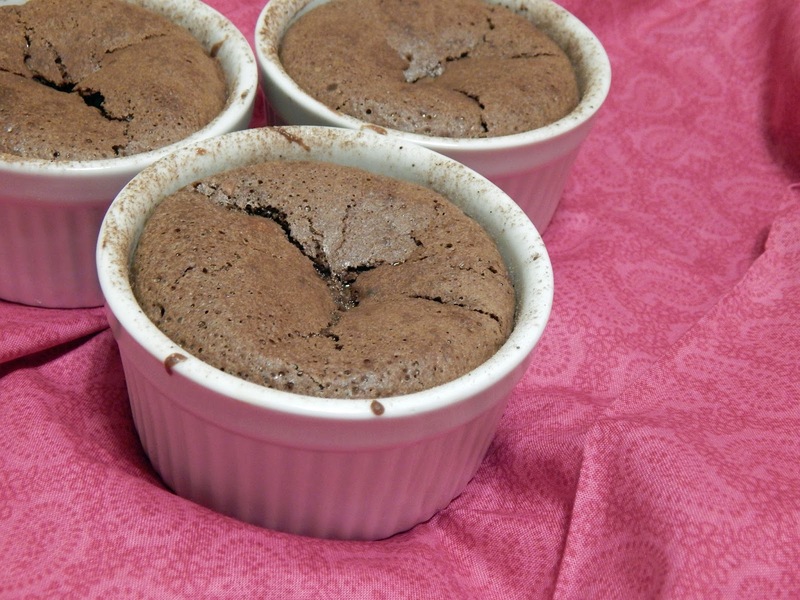 If your ramekins are straight, fill them up to around a 1/2" below the top. This leaves room for rising and for the ganache, which I drop spoonfuls of into each cake before baking. There's no water bath for these cakes; they are simply baked at 400F until cooked through. This can be a bit hard to gauge since you can't do the toothpick test. I wait until the tops are crackly and they jiggle slightly when shaken gently. You don't want a soupy mess but you also want the cakes to be molten. They are best straight out of the oven so you get maximum ooziness, and I love to have them with vanilla bean ice cream or homemade whipped cream. For a true Valentine's Day treat, you can go all out with ice cream, whipped cream, fresh raspberries, chocolate sauce, and anything else you might enjoy. I'd recommend them as part of a big fancy dinner with spinach and prosciutto stuffed shells and warm focaccia, but maybe that's just because I'm completely immersed in Italian food. Heat the cream and 2oz chocolate in a small bowl and stir to combine. Chill until solid. Meanwhile, heat oven to 400F. Grease 8 6 oz ramekins and dust with a 50-50 mixture of cocoa and flour. Melt the butter and remaining chocolate together in a large bowl. 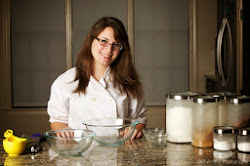 In the bowl of a stand mixer, whip the eggs, egg yolk, vanilla, salt, and sugar together. 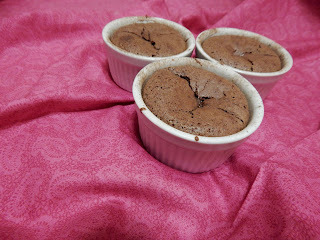 Pour gently on top of the chocolate mixture and sprinkle with the flour. Gently fold the mixture together to avoid deflating. Spoon the batter into the ramekins. 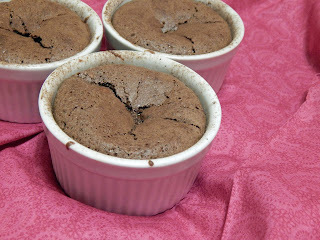 Place a spoonful of the solidified ganache in the center of each ramekin and press down until just covered with batter. Place the ramekins on cookie trays and bake for about 12 minutes or until set just around the edges and crispy on top.